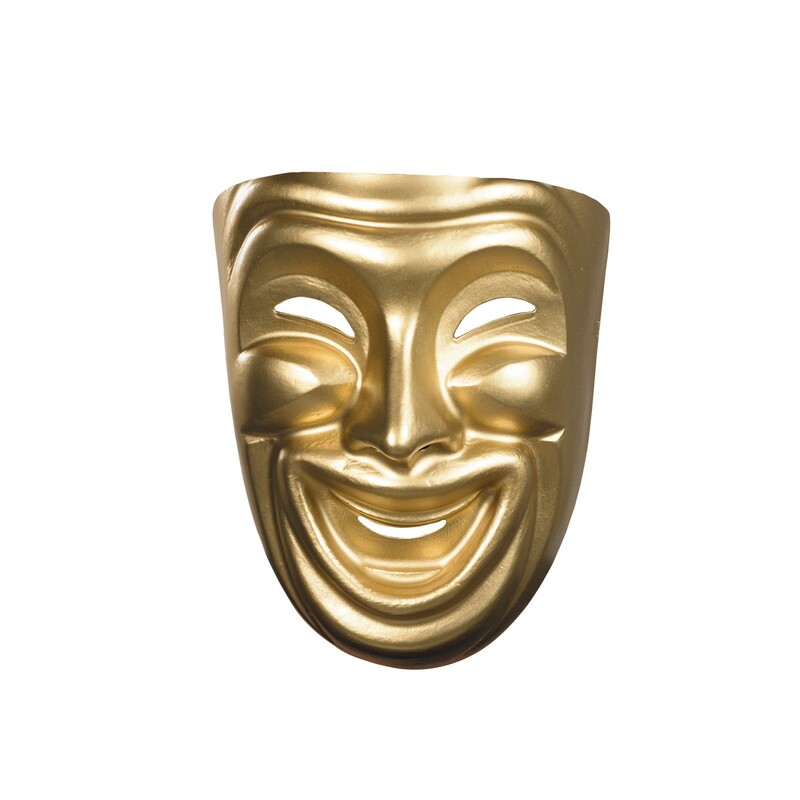 This is a classic gold Comedy mask. One Size fits most adults. An elastic band holds the mask in place.